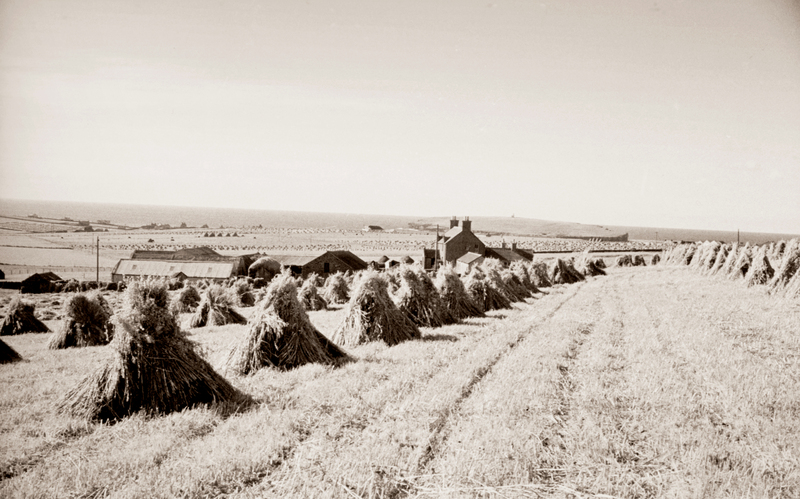 Field of oats at Lower Grindally, Birsay in the late summer of 1964. There were no combines in Birsay at this time and all hands were required to turn out to stook after the binder work had been finished. Looking west towards the Brough, many stooked fields can be seen in the distance. Farming is such a dawdle these days!